Ireland’s Woes — And Ours? else decided not to buy during the bubble, and who think those with mortgages should be made to pay them off. Any relief to struggling mortgage-holders will come not out of bank profits — there is no longer any such thing — but from the pockets of other taxpayers. House prices are driven by the size of mortgages that banks give out. That is why, even though Irish banks face long-run funding costs of at least 8 per cent (if they could find anyone to lend to them), they are still giving out mortgages at 5 per cent, to maintain an artificial floor on house prices. Without this trickle of new mortgages, prices would collapse and mass defaults ensue. Right now, the hated Fannie Mae and Freddie Mac are essentially keeping the entire American housing market afloat despite the fact that American banks, unlike their Irish counterparts, have very low funding costs and can still make money on mortgage lending. But what would things be like if Fannie and Freddie weren’t around and funding costs were high? For all intents and purposes, there would probably be no mortgage market at all. If Morgan is right, that’s what Ireland is facing next year. Europe will probably figure out a way to muddle through its euro-inspired crisis, but there’s no guarantee of that. Ireland, Portugal, and Greece are still teetering on the edge of bankruptcy, and the mood in the core states against further bailouts has hardened considerably since a year ago. 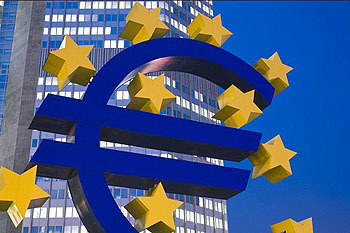 Whether the euro survives is anyone’s guess. I’d give it about an 80% chance, myself. And if we end up living in the world where the 20% chance of a currency breakup comes to pass? Chaos in Europe, of course, but we won’t avoid the storm either. Buckle up.